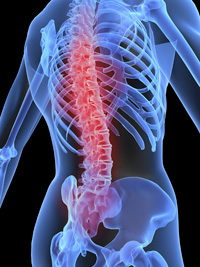 Did you know that osteoporosis is regarded as a “silent killer”? Yes, it’s possible to have osteoporosis and not even realize it until you experience a fracture. But perhaps you’ve already been diagnosed with osteopenia, or pre-osteoporosis. Maybe you’ve fully developed the condition and are struggling as you learn how to cope with thinning bones. But I’m here to ask you not to become paralyzed with fear over this troubling diagnosis, as many tend to do. I’ve seen it—people will put off their bone density screening or doctor checkups because they’re afraid of what they might find out. And by the time they get in to see me, they’re already in the thick of the condition. But there is hope! So take action now. You can rebuild your bones by establishing strategic lifestyle habits that will sustain a higher level of wellness for your whole body. The answer is in the LifeStart approach, a free-of-charge, practical, holistic program that enhances all aspects of your life. Your bones don’t have to get old before you do. Your skeletal system obviously supports your entire body. So when we hear that our bones are weakening, it’s no wonder that we become disheartened by this news. And this news is delivered to tens of thousands of Americans each year. Despite our country’s heavy consumption of dairy products (of which nutrition labels do tell us that they contain calcium), we’re still suffering from the degradation of what frames our stature. So the causes must be more than just calcium deficiency. It turns out, there are multiple factors that contribute to bone loss, and in a concerted way. Osteoporosis is an effect of internal imbalance. The minerals that make up your bones also stabilize the body’s systems. Your body does all it can to stay at homeostasis, or complete balance. If your body lacks a certain substance it will leech it out of your bones to keep a deadly imbalance from occurring. So if your 50th birthday has passed and you haven’t gotten your bone density checked, now is the time! You’ll often find that the condition of your bones can be an indicator for your overall health. So taking action against osteoporosis can only do you good. If osteoporosis signals a bodily imbalance, then naturally we would need to seek balance. Through looking at our lifestyle as a whole. It’s the only way to truly restore and sustain homeostasis. And that’s exactly what LifeStart is all about. These nine facets of total health work together to keep the body well. Of course, if you are already under the care of a doctor and have been prescribed medication for osteoporosis, I’m not telling you to throw it away. But I am telling you that I have seen the principles of LifeStart restore bone health in my patients. As alluded to earlier, calcium deficiency is only one of the elements involved with this condition. Vitamin D deficiency also plays a significant role in the loss of bone density. But overall nutrition is what matters. 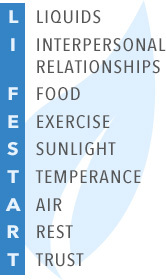 LifeStart will guide you through the types of foods to avoid and the types of foods to include. And even though exercise seems daunting when our bones are weakened, weight-bearing exercise has a huge effect on boosting bone growth. The biggest point I want to drive home is that bones are dynamic and readily respond to proper nutrition and strengthening exercises. This condition is reversible, and I want to show you how. Please take advantage of these FREE resources for better living. I invite you to join me at LifeStartSeminars.com, where you can sign up for a highly-informative and inspiring 30-minute presentation, Prevent Osteoporosis Naturally. We’ll get you started on the path to wellness and support you on your journey. I hope you’ll embrace this opportunity to “rebuild” yourself. It’s not too late to bring your lifestyle into balance.